Over the past three decades, research in artificial intelligence (AI) has advanced a wide range of techniques and approaches that can be adapted or employed to solve complex electric power system problems (e.g. power system planning, operation, as well as transient stability and control), previously thought to be unsolvable without making several simplified assumptions. On the other hand, the “smart grid” concept emerged in the early 21st century to take advantage of improvements in information and communication technologies in the electricity industry, in order to address security issues in the centralized power systems, as well as to provide for increasing the penetration of renewable energy by deploying the advanced metering infrastructure to establish a win-win situation for both the electricity consumers and suppliers. This has raised problems in diverse fields of power system analysis and design, which are not amenable to analytical treatment, and need to be solved using metaheuristic/learning algorithms within the field of AI. intelligent state estimation and fault recognition with self- restoration/healing properties to improve the resilience of the systems. and the artificial bee colony algorithm. mid-long- to long-term (up to several years-ahead) for the equipment maintenance planning, energy policy modelling, expansion planning of generation resources/transmission networks, and start-from-scratch energy system planning applications. Although the wavelet transform is traditionally adopted to diagnose the locations and types of faults that occur in power systems, the development of big data analytics and AI derived new trends in this research area. In this context, a range of pattern recognition-based data mining techniques have been successfully applied to detect power system faults by clustering the characteristics of each scenario, such as: the k-means algorithm, the k-medoids method, the fuzzy c-means algorithm, the k-nearest neighbours algorithm, and Naïve Bayesian classifiers. At the same time, AI’s potential is exploited to enable the self-healing of power systems under critical contingencies, which has significantly contributed to facilitating the implementation of automated, immediate corrective or reinforcing actions, thereby enhancing the robustness of the systems. In this regard, the multi-agent system concept – i.e. a distributed AI technique combining several collaborative agents in order to perform assigned tasks in accordance with the overall goal(s) of the system – is the most widely utilized strategy. As a future research direction, the effective application of such tools on the situational awareness information obtained from the intelligent wide area monitoring systems or Internet of Things (IoT) systems can be explored to allow for the realization of self-healing objectives in bulk power systems under the smart grid paradigm in the foreseeable future. In conclusion, the AI methods that can be either adapted or utilized directly to solve intricate electric power system problems, have played, and will continue to play, a significant role in revolutionizing the entire energy sector from generation to distribution, in order to enable the large-scale integration of renewable sources into energy networks. Soheil Mohseni focuses his research on the optimal equipment capacity planning and design of off-/on-grid renewable energy systems using meta-heuristic optimization algorithms. His research interests include power system operation and planning, smart energy hubs, smart grids, and sustainable energy systems. Soheil holds a BSc in electrical power engineering from Kermanshah University of Technology, Iran. He also holds an MSc with high distinction in electrical power engineering, and power systems from University of Guilan, Iran. He is currently pursuing a PhD at Victoria University of Wellington, in New Zealand at the Chair in Sustainable Energy Systems. Alan C. Brent is the inaugural holder of the Chair in Sustainable Energy Systems at Victoria University of Wellington, in New Zealand, since 2017. His research revolves around sustainable technology management, with an emphasis on the energy sector. Before joining Victoria University, he was a professor of engineering management and sustainable systems in the Department of Industrial Engineering, and the associate director of the Centre for Renewable and Sustainable Energy Studies, at Stellenbosch University in South Africa. In 2017, he was appointed as an extraordinary professor in the Department of Industrial Engineering at Stellenbosch University. Until 2017 he was also appointed as a part-time professor of sustainable life cycle management in the Graduate School of Technology Management, at the University of Pretoria in South Africa. He holds bachelor degrees in engineering (chemical) and philosophy (sustainable development); master degrees in science (environmental engineering), engineering (technology management), and philosophy (sustainable development); and a PhD in engineering management. Daniel Burmester currently works at the School of Engineering and Computer Science, Victoria University of Wellington, New Zealand. His research is focused around control within DC nanogrids and nanogrid networks, creating a microgrid. 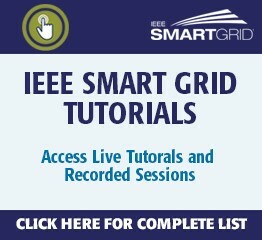 To have the eNewsletter delivered monthly to your inbox, join the IEEE Smart Grid Community. 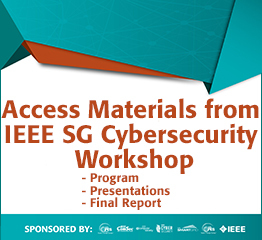 To view archived articles, and issues, which deliver rich insight into the forces shaping the future of the smart grid, please visit the IEEE Smart Grid Resource Center. 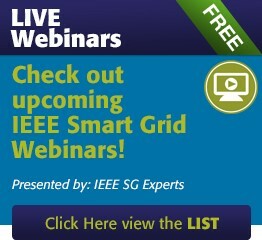 The IEEE Smart Grid Newsletter Compendium "Smart Grid: The Next Decade" is the first of its kind promotional compilation featuring 32 "best of the best" insightful articles from recent issues of the IEEE Smart Grid Newsletter and will be the go-to resource for industry professionals for years to come. Click here to read "Smart Grid: The Next Decade"